Michael J. Deible, Ph.D. is a Consulting Scientist at RJ Lee Group, with extensive expertise that spans many industries, providing a broad range of services for materials characterization and specialty chemicals. 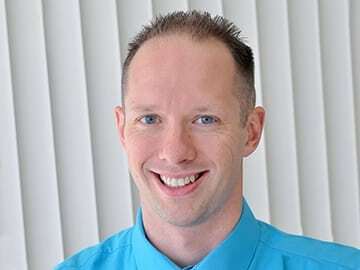 His educational background includes a Bachelor of Science in Chemistry Education from the Indiana University of Pennsylvania and a Ph.D. in Physical Chemistry from the University of Pittsburgh. Dr. Deible’s graduate work experience includes applying cyclic voltammetry and scanning electron microscopy to characterize ultra-sharp platinum electrodes. Additionally, he studied the effect on interaction energies when changing the steering function of quantum Monte Carlo calculations and developed benchmarks for large gas-hydrate and water clusters to compare accuracy of commonly used ab initio methods. Dr. Deible is also a former Laboratory Technician at the Environmental Service Laboratories in Indiana, PA, where he applied US EPA standards and methods to quantify contaminants in waste water by titration, spectroscopy, and gravimetric analysis. In addition to his laboratory work, Dr. Deible is a former teacher at New Town High School in Baltimore. After graduate school, Dr. Deible became an assistant professor at the United States Military Academy in the Department of Civil and Mechanical Engineering. As an assistant professor, he taught materials science to mechanical engineers and led a research program that studied many aspects of metallic corrosion. Areas of interest for his research group were studying corrosion inhibitors using computational methods as well as designing sensors and drones for detecting corrosion in hard to access areas. Dr. Deible has written and coauthored multiple papers and publications in addition to his several international presentations. To contact him directly, please click the button below.